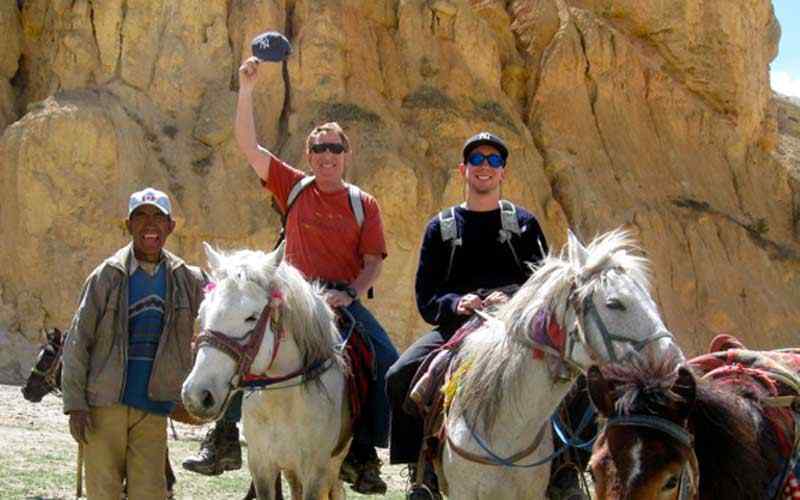 Thrill, excitement throughout this trip from traditional villages, green hills, pristine forest, landscapes and mountains are the main attraction and highlights of this trip, walking beneath world’s 08th highest Mt. Manaslu at 8,063 m massive mountain range, dramatic variation from sub-tropic- mediterranean, alpine to arctic climate temperature and landscapes, daily awesome panorama of world’s highest mountains Manaslu and Annapurna, fascinating mid hills Gurung, Manang, Bhotia’s of Manaslu & Magar tribe villages, super mountain vista from high Larkya-la makes this adventure enjoyable and worth a trek. 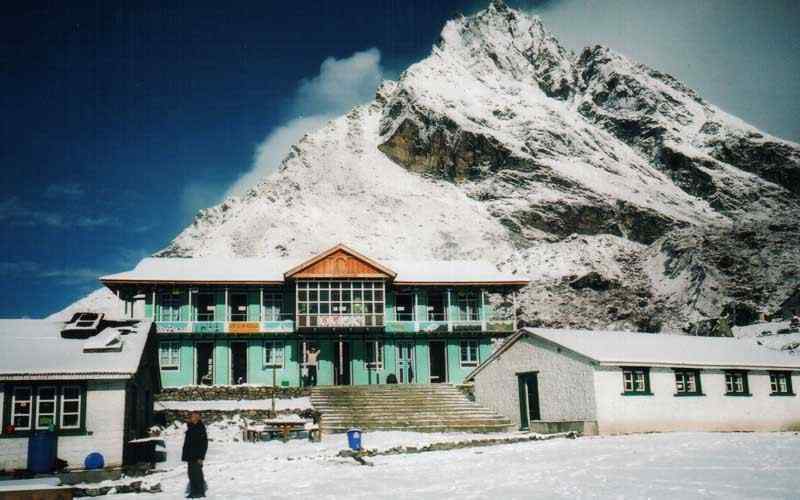 Manaslu Trekking is a great thrills adventurous travelling destination around Himalaya. 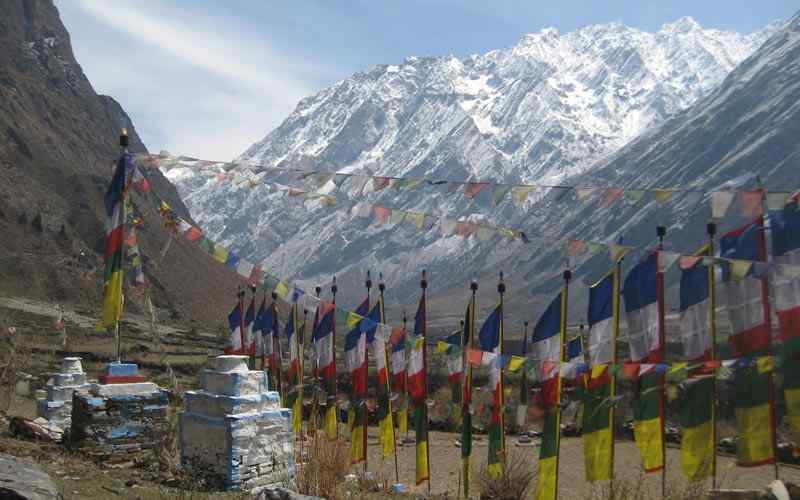 The Trekking route is a perfect amalgamation of both astounding natural vistas and enriched cultural aspects. 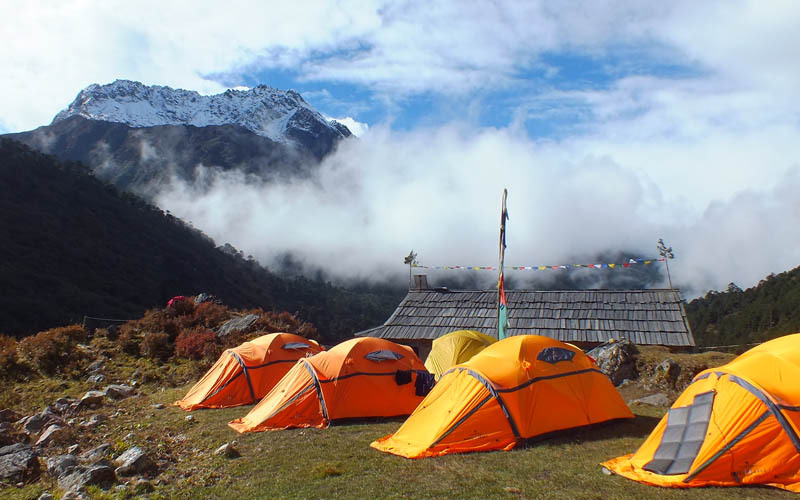 The trekking is all about to amidst the traditional villages of Gurung, Bhoteys and Manangis along with picturesque natural scenarios. 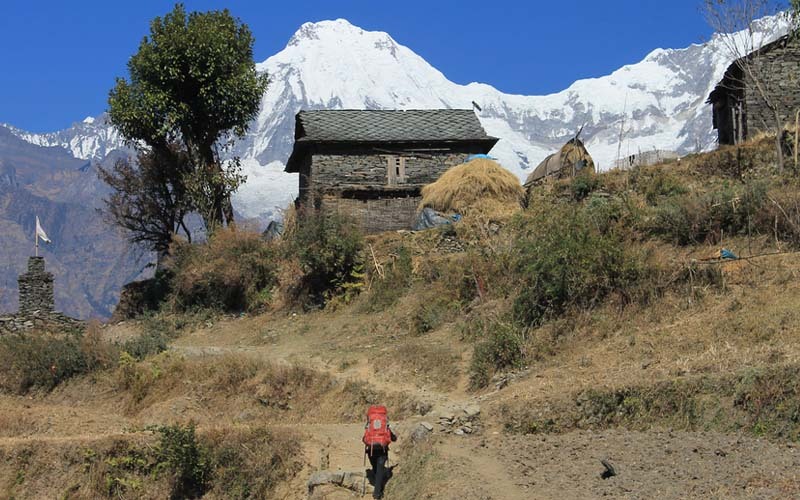 Manaslu area is famous for varied different features to experience, as you see the big variation of urban life and rural life of highlander at same region. 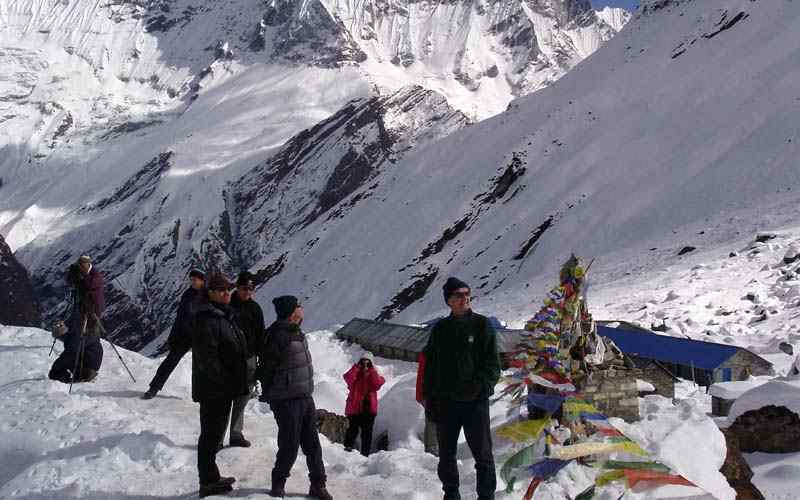 Manaslu Trekking begins with an exhilarating drive towards the Arughat and to sodi khola. The trekking begins through the low river valley to high alpine area. The same river accompanies you all the way to sama goan. The visitors get amaze with the natural heart-soothing components. The magnificent views of massive mountains are giving a real picture of high Himalaya. The shinning vegetation of gorgeous rhododendron, oaks, magnolia, pines and fir in the forests are making wilderness journey of jungle life. 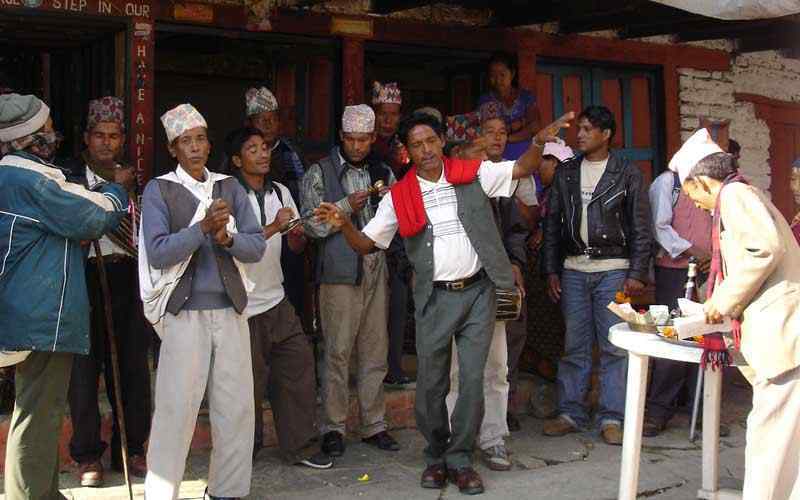 Exploring villages of Philm, Jagat, Lho gaon, Sama gaon, and Samdu are giving great sense of cultural-tribal. Manaslu Trekking be friends us to world’s 08th highest Mt. Manaslu at 8,163 m-26,781 ft, and Ganesh Himal 7,405 m-24,295 ft stretching to the east. All in this entire trek is a perfect dream-come-true treat to the mountain lovers. The beautifully arranged arrays of mountains varying in heights are sure a treat to watch especially in morning sunrise on them. 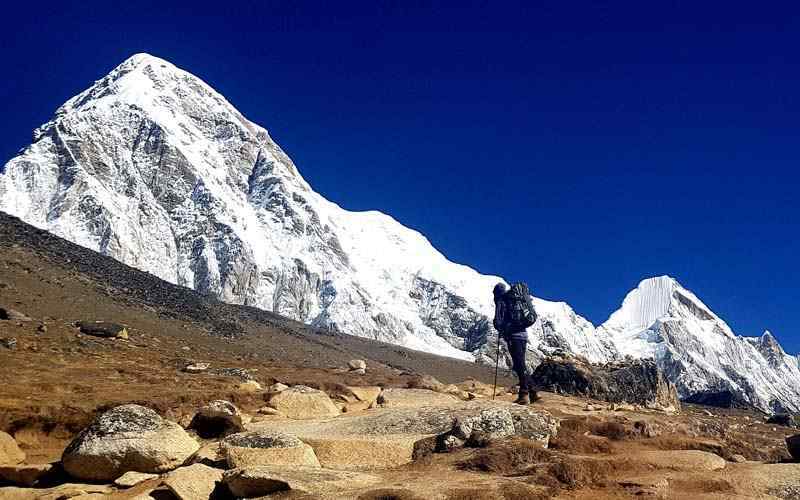 Trexmount Ventures a pioneer in organizing the travelling ventures welcomes you to experience adventurous trekking trails of Nepal. 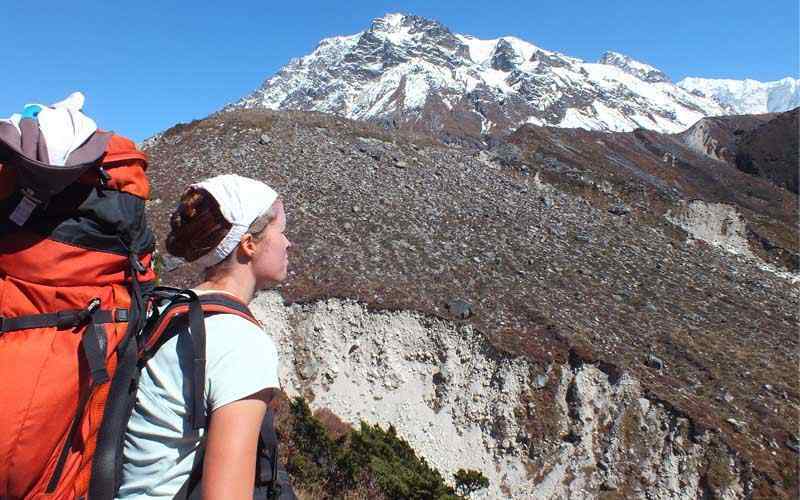 The Manaslu Trekking is well-planned with moderate walk and quality interaction with the nature. 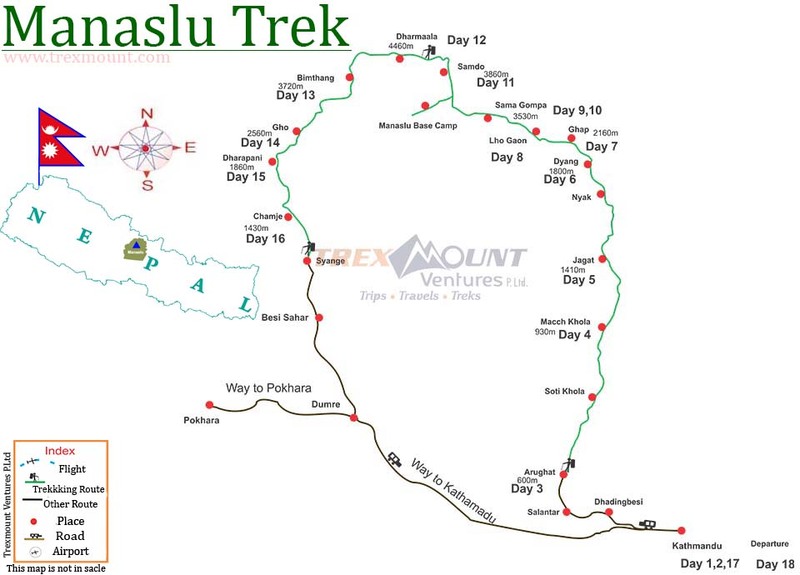 Trexmount Ventures has planned a day of acclimatization prior to ascend towards Larkya La. Exploring the Manaslu Base Camp will giving good acclimatize. We move forward to see more rural life and hike towards our goal Larkya-la pass at 5,300 m-17,388 ft. You will be amaze with stunning Himalaya and bliss with the success of spectacular scenery. 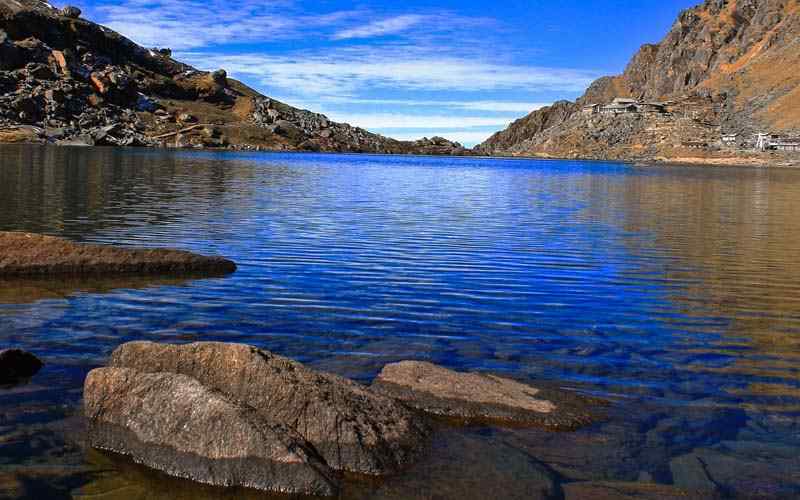 With a perfect dose of adrenaline and heart-full of life long memories, the trek descends into enchanting alpine wooded area and to Dharapani. 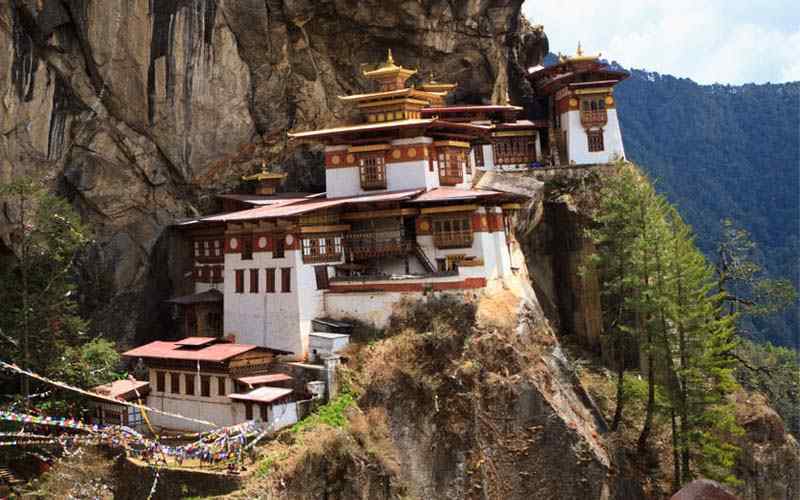 We hike to Chanje and drive through the illustrious Annapurna circuit and Manang meets. Day 02: Kathmandu: Free day for Trek preparation. Day 03: Drive by Jeep to Soti Khola (730 m-2,395 ft) via Arughat (600 m-1968 ft) – 08 hrs journeys. Day 04: Trek to Machha khola (930 m-3,051 ft) – 05 hrs. Day 05: Trek to Jagat (1,410 m-46,25 ft) – 06 hrs. Day 06: Trek to Dyang (1,800 m-5,905 ft) – 06 hrs. Day 07: Trek to Ghap (2,160 m-7,086 ft) – 04 hrs. Day 08: Trek to Lho (3,180 m-10,433 ft) – 06 hrs. Day 09: Trek to Samagaon (3,530 m-11,581 ft) – 06 hrs. Day 10: Rest day in Samagaon for acclimatization and Hike to Manaslu Base camp. Day 11: Trek to Samdo (3,860 m-12,664 ft) – 05 hrs. Day 12: Trek to Dharamsala / Larkya phedi (4,460 m-14,632 ft) – 04 hrs. Day 13: Cross Larkya la (5,200 m-17,060 ft) and to Bimthang (3,720 m-12,205 ft) – 08 hrs of climb and descend. Day 14: Trek to Gho (2,560 m-8,399 ft) – 05 hrs. Day 15: Trek to Dharapani (1,860 m-6,102 ft) – 05 hrs. Day 16: Trek to Chamje (1, 430 m-4,691 ft) – 05 hrs. Day 17: Drive to Kathmandu through Beshishar (830 m-2,723 ft) – 08 hrs. Our representative will come to the airport for transfer to the Hotel. After some refreshment in the hotel, Our Tour leader will conduct a pre departure meeting in the Hotel or at our office. The meetings will covers trip related information & the collecting your Documents (passport copy, 2 passport size photos, Travel insurance copy). Breakfast, free day for trek preparation. 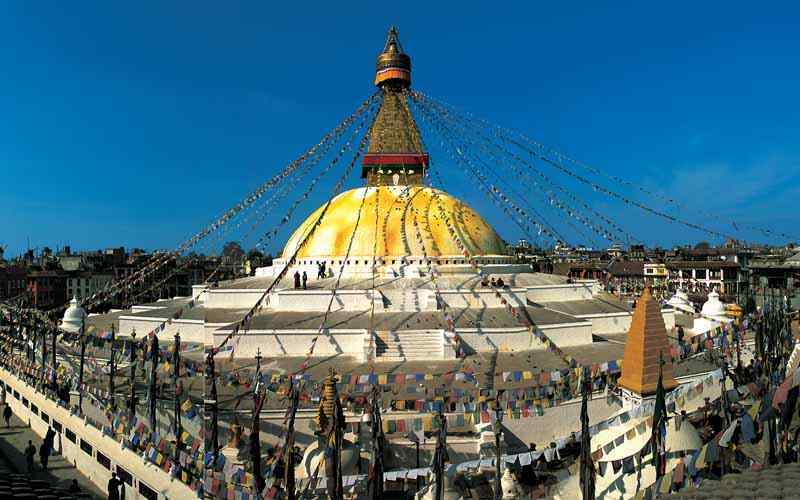 You can do your own activities OR, you can book sightseeing tour in Kathmandu valley with visiting fascinating world heritage and cultural sites. There are few places that are worth to visit such as Hindus holy Pashupatinath temple, Bouddhanath Stupa, Swayambhunath (Monkey Temple), Durbar Squire ( One is in Kathmandu, in patan and also in Bhaktapur), Museum, monasteries, old historical Palaces and Gardens. Note: this tour is optional so you can visit with place of your interest & pay locally. Meals included: Breakfast. Breakfast and Drive from hotel through prithivi highway and follow Trisuli River till Malekhu, from here drive north towards Dhading Besi, a mid hill town, from here on the dirt road reach at Arughat bazaar, a large village with many shops and stores, a warm and low area with sub tropical temperatures. Soti Khola for first overnight stop of this trip. Soti Khola is a small village with simple accommodation. We will start hiking after the breakfast, this remarkable adventure follows a downhill slope reaching river bank with small huts and tea shops. We will continue our journey on stone steps to cross Nauli Khola (stream) with views of waterfalls nearby and then reach Khanigaon village. From here on the gradual trail cross another bridge to reach overnight halt in a small farm village at Machha Khola, a place with ‘fishing stream’. On leaving warmer heading towards cooler area, morning walk starts following Budi Gandaki River valley, passing several smaller villages and to Khorla Beshi, and then continues on the winding path to reach at Tatopani village, which means ‘hot water spring’. The hot spring is situated at short walking distance close to this village by the river bank, in the middle of forest area. After a nice break we will pass villages of Dovan, Yaruphants, and then cross a bridge with short climb to reach overnight stop in a moderate size and populated Jagat village with nice traditional Nepali mid hill houses with many shops and nice lodge. We will start ascending higher gaining elevation as the air gets cooler, after leaving the rice fields, terraces and reach Sidibas Bazaar, a small nice farm village. After a short refreshing break, we hike uphill to cross a small bridge at Nagjet and then to another nice hill village at Philim village with well tended farm fields of wheat, barley and millet as per the season. 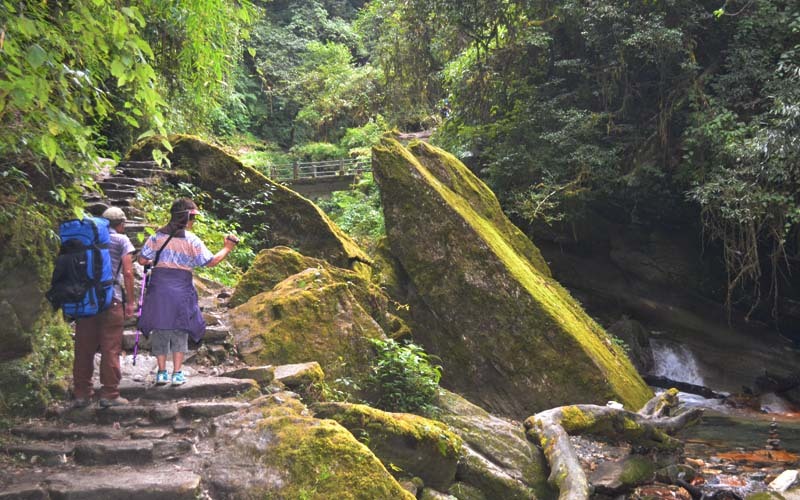 We will hike through a large rocky ridge top having the cool shade of a bamboo forest. Come to an exposed area after leaving the thick tree lines to reach Dyang village for overnight stop. We will make gentle descent by the river side. Cross the torrential river reaching at Bihi Bazaar, a small farm village with small shops and tea stall huts. A few hour’s walk from here brings us to an overnight stop at Ghap village with afternoon free to explore this small nice village. 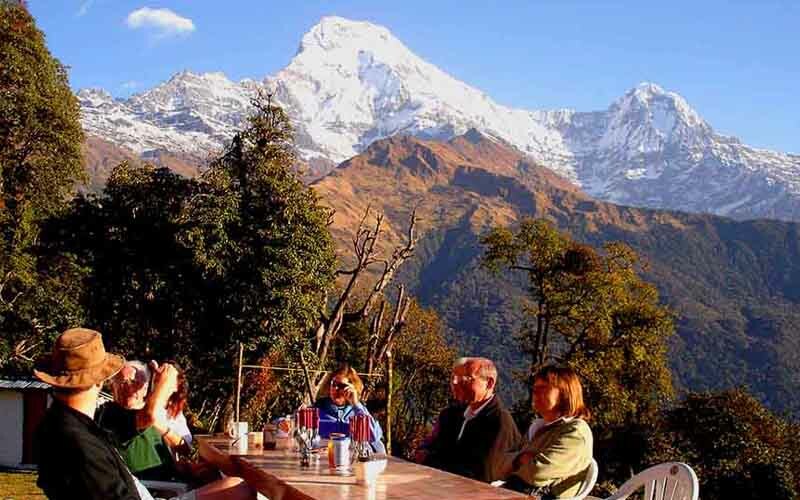 The cool air gets fresher in this high valley between high ridges of snow capped peaks and Manaslu mountains. Walk continues with beautiful scenery of surrounding landscapes and views of mountains as this journey heads into upper Manaslu area. again following Budhi Gandaki River passing few spread out smaller farm villages and terraces of millet, wheat and barley. These grains are the only few crops that survive in this high terrain. After a few stops in between walk towards Numrung village with super close view of stunning Mt. Manaslu North Face standing at 8,163 meters high, which is the 8th world highest mountain. After passing few villages Banjham, Lhi and Sho villages en-route, We have couple of hours of this scenic walk ending the day at Lho gaon for overnight stop, this village is also called Lho Bazaar. From Lhogaon enjoying views of Mt. Manaslu. 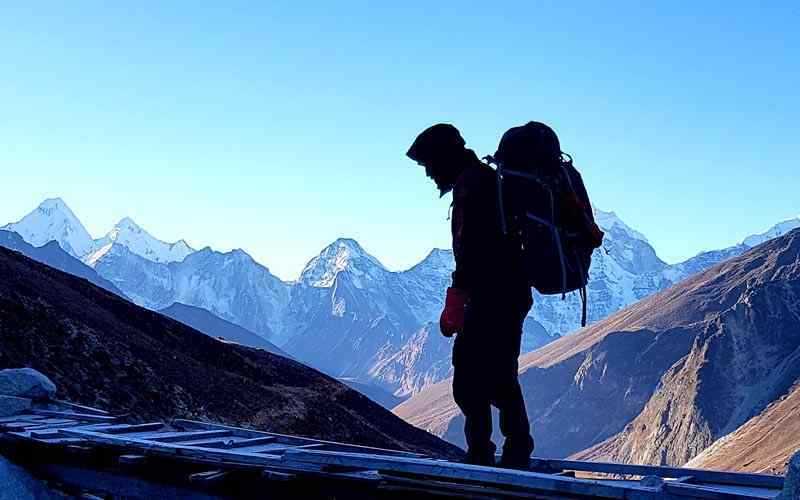 From here walk with constant beautiful scenery, slowly and steadily entering Upper Manaslu area with high hills and mountains on either side of the valley to reach the largest and major village of Upper Manaslu at Samagaon. As the walk progress the gorge area opens up into a wide scenic valley with a winding trail as the country expands further with wonderful views of landscapes and of mountains. Walk through several cattle herders’ huts and shelters used for summer grazing of yaks and other domesticated animals. End the good of the day at Samagaon as the altitude reaches higher from here onwards till Larkya-la top. Notice the dramatic change in landscapes and vegetation, as the tree lines drops for few alpine bush. 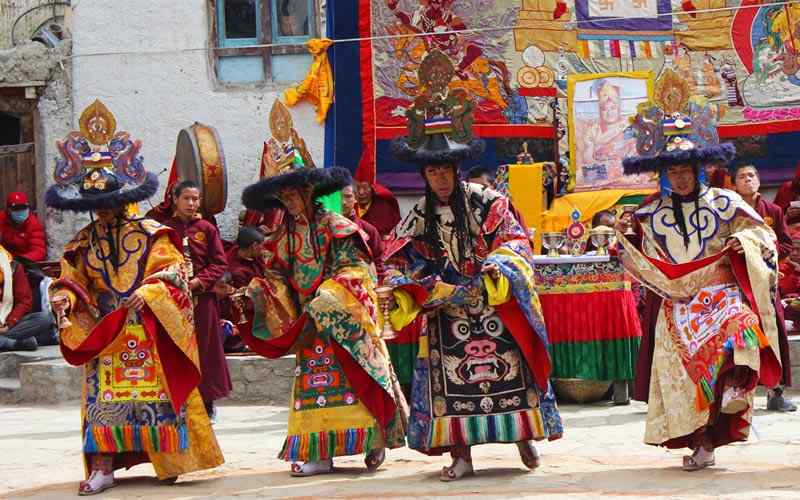 At Samagaon, walk around this nice village to experience the Tibetan way of life, culture and religions and peoples as well. and explore this unique placed with stunning experience. We will come back to Samagoan. 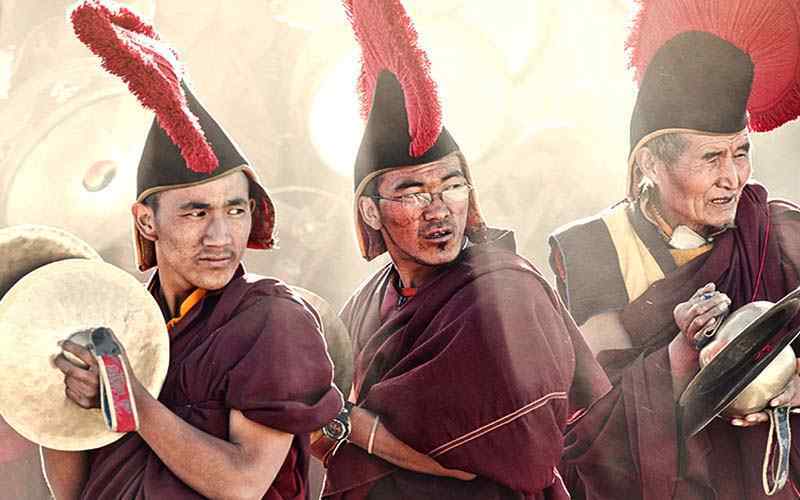 There are many shops that have many Chinese products brought from across the border in Tibet. 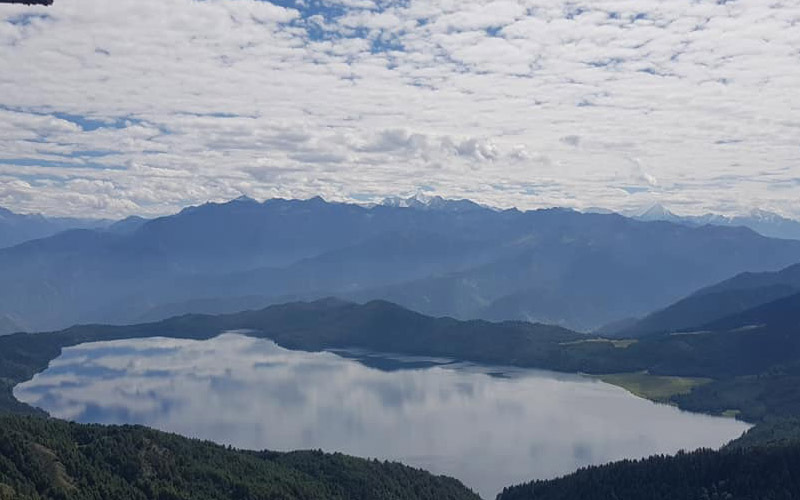 After a nice rest at Samagaon, morning walk begins with a slight and gradual climb towards a more wide valley with sparse vegetation, where the country changes which is a small extension of Tibetan plateau. Walk past an old monastery with few existing willow and poplars trees. Passa few shelters for cattle herders and then pass over Manaslu glacier with views of Birendra Lake in the near distance from the trail which is also known as Samagaon Pokhari (pond) as the walk leads towards Samdo village which is on route to Tibet border. After a nice good trek for five hours end this nice day at Samdo, which is the last village before Dharapani village on the other side of the pass. From Samdogaon our route leads west towards Larkya-la at Dharmasala the base / phedi. Today walking is for a short distance for 3-4 hours to reach at lunch and overnight place in Dharmasala. First cross an icy stream flowing from Gya La, which is at Tibet border. 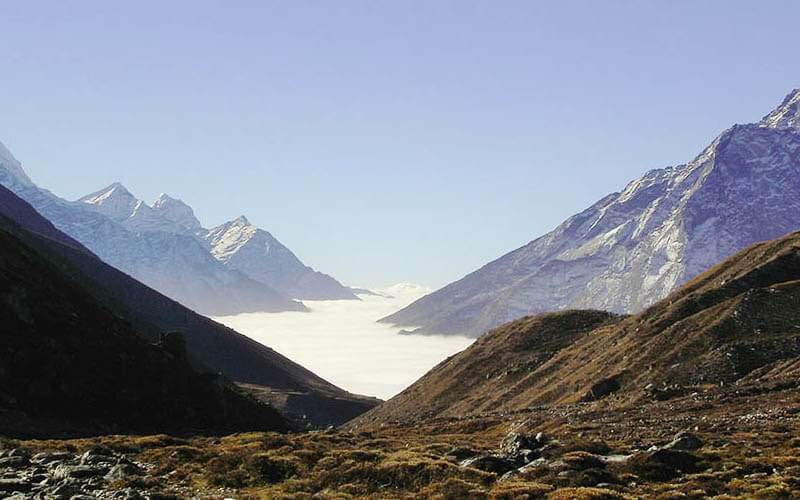 Walk on the high trail towards north on a route to the Tibetan frontier for some time with grand views. As the walk continues over rocks and stones path reach at Dharmasala also by its earlier name Larkya Bazaar, where a big trade between Nepal and Tibet used to take place, before Chinese took over Tibet. The afternoon offers plenty of time for rest and preparation for the big day next early morning crossing the highest point of this adventure Larkya-la at 5,200 m-17,060 ft. This is going to be Big day and main highlight of the trek as we begin very early in the morning wth ascending steep trail where you will be surrounded with fantastic scenery of high snow peaks, pass frozen ponds. 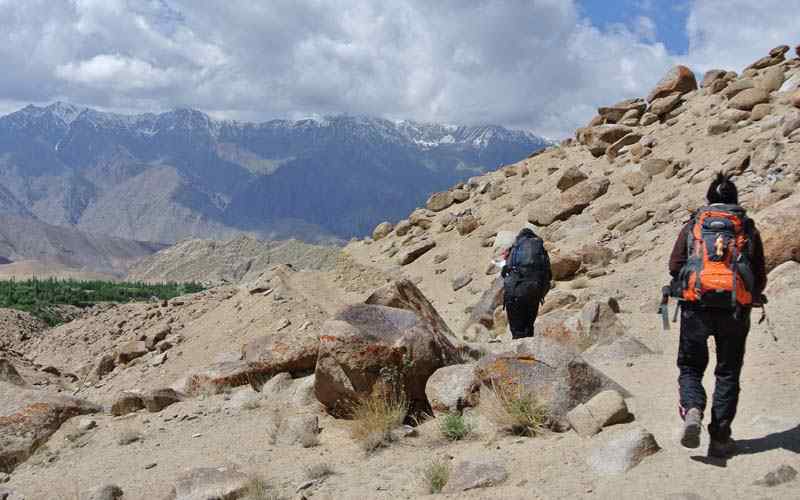 Then with the last big haul climb to the top ridge at Larkya La Pass festooned with prayer symbols of rocks and prayer flags, offering stunning view with panorama range of peaks and rolling high hills. From here a make long descent, getting back to the tree lines of firs, oaks, pines and rhododendron. After a nice scenic break, Walk continues on a gradual path for another few hours to reach Bhimthang for overnight halt. After the longest day trek of Eight hours, Bhimthang offers a nice place in greenery fields with wide meadow surrounded with coniferous forest. 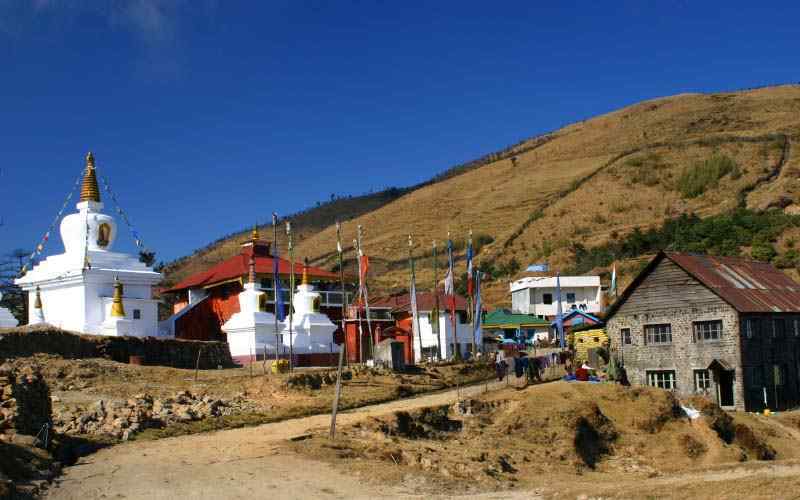 From this nice and wonderful stop at Bhimthang, walk to Gho and beyond to Dharapani village, a nice peaceful trek in the middle of enchanting woodland. After a good walk for 4-5 hours reach a small place at Gho settlement in the middle of forest area. Morning walk leads on the downhill path all the way to Tilje village by the raging Marsyangdi River, just below Dharapani village. After having lunch and rest, walk with a last steep climb for few hours to Dharapani, a large village located on the route to Manang and Annapurna circuit trail. We will be descending and following Marsyangdi river downstream, which is fed from the glaciers of Gangapurna, Annapurna II and Tilicho peaks. This nice walk leads for few hours with short ups and more down and to re-cross on bridges few times to reach Chamje after Tabesi villages for overnight. Completing the fabulous trek at syange, We hire a local Jeep to reach Besishahar where our Vehicle will be waiting and Transfer in another vehicle on the good road back to city life in Kathmandu. Fare well Dinner in the Evening. Breakfast, Transfer to Tribhuvan International airport for departing from Nepal. An experience guide and required number of porters (one porter in between two pax), their food, accommodation, transportation, salary, insurance, and equipments. Your travel insurance, Medical and emergency evacuation. 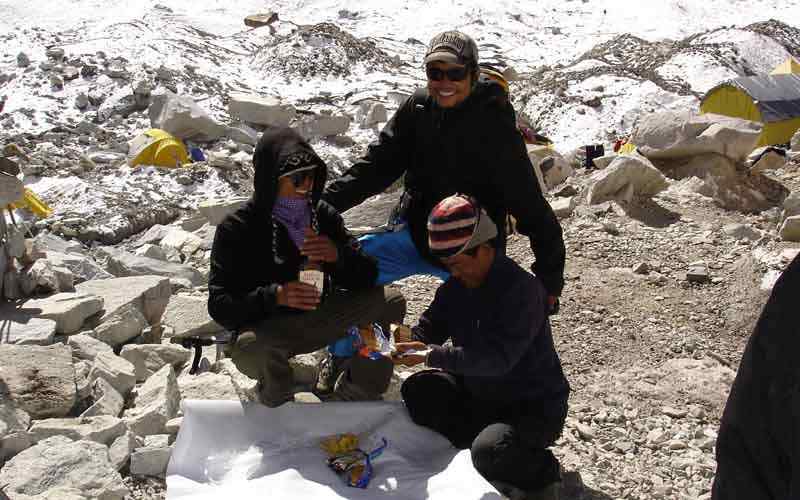 All types of drinks (such as Hot & cold, Mineral water and alcoholic drinks) during the trek. All personal expenses which are not mention into the price inclusion.